Non Woven Reflective Sports Bag - Express Corporate - Promotional Products - Delivered Fast! 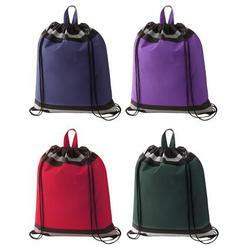 Environmentally friendly, 110g non-woven, coated water resistant polypropylene drawstring sports bag with contrasting black trims and reflective strip at top and bottom. Price includes a one colour print.